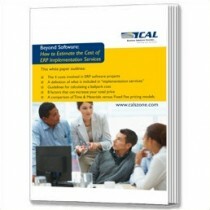 Do your own research on ERP software selection, Microsoft Dynamics and the technology industry with these recommended white papers and guides. Review the short descriptions below, click the links to read the entire description and download the white paper. Then contact CAL Business Solutions to take the next step. 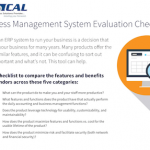 With so many strong ERP systems to choose from, your purchase decision could become complicated, time-consuming—and ultimately, frustrating. That’s why we’ve designed a tool that will help you make a better decision in less time. In today’s digital world the finance team relies on technology. And that means you rely on the IT department. But they are pulled in so many directions, they simply don’t have the time to produce reports, fix errors or plan upgrades. So you wait. 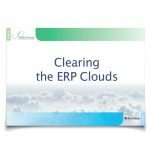 In this white paper we take a look at the challenges you are likely facing and show you how ERP software in the Cloud can make everyone happier. Like most big concept buzzwords, “Digital Transformation” means something different to almost everyone. To get a practical, real-world perspective, we asked technology experts in the trenches of modern business for their definition. Then we collected real-world stories from businesses using ERP, CRM and the cloud to rethink their future. If you are considering moving your on-premises software systems to the cloud, there can be many benefits. But there can also be potential pitfalls. Most businesses get started with basic accounting software. The challenge is recognizing the right time to make the switch because it’s easy to ignore the red flags of trouble that show you have outgrown your current system. Get some advance warning from these 15 real life examples. 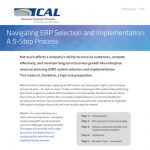 This new white paper by CAL Business Solutions helps you ask the right questions, avoid hidden fees and understand all the costs involved in a mid-market accounting software/ERP implementation project. Hint: Software is only a small part of the quote! 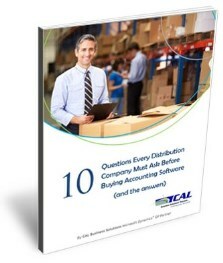 As you evaluate replacements for your accounting software, ask the right questions. Your success depends on your ability to optimize processes and the supply chain through technology. We’ve assembled this list of questions to help. This easy to read white paper highlights 25 ways real companies are using their Microsoft Dynamics ERP system to outsmart and outpace their competition. If you are using Microsoft Dynamics GP then you should make sure you know the benefits of Microsoft Dynamics CRM too. CRM software will not only manage contacts and sales activities; it can transform your business in ways you probably never imagined. To prove it, The CRM Software Blog compiled examples from CRM experts around the world in this upbeat and engaging white paper. As technology becomes more adaptable and affordable, distributors of every size are able to compete in geographies and markets they never thought possible, yet dealing with this broader range of channels presents a new set of opportunities and challenges. Acumatica is a cost effective way to improve your business using web based financial and business management software. 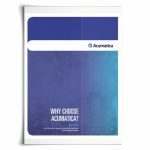 In this white paper you will find out; 4 top ways Acumatica will improve your business and 4 top reasons that Acumatica is cost effective. 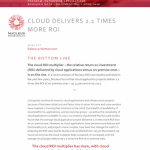 This report by SMB group helps explain cloud computing, the different types of deployments, how to find the best fit for your business and how to evaluate cloud ERP Providers. 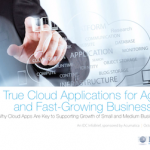 Plus helpful tips to warn you of fake cloud ERP!